Brilliant light siam color. 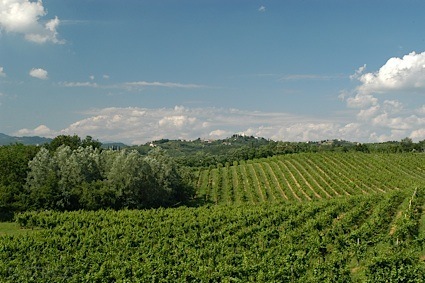 Fruity aromas and flavors of spiced dried cherries and berry mint tea with a silky, vibrant, dry-yet-fruity light-to-medium body and a smooth, compelling, medium-length finish that shows notes of citrus spritzed apples, praline, tapioca, and green earth with fine, fruit tannins and no oak flavor. A delicious and well-balanced grown-up rosé with great versatility. Bottom Line: A delicious and well-balanced grown-up rosé with great versatility. 84 • Sharpe Hill 2013 Vineyard Reserve, Cabernet Franc, Connecticut 12% (USA) $18.99. 90 • Sharpe Hill 2015 Angelica Rosé Vineyard Reserve, Connecticut 12% (USA) $14.99. 90 • Sharpe Hill 2015 Dry Summer Rosé, Connecticut 12% (USA) $14.99. 84 • Sharpe Hill 2015 Red Seraph, Connecticut 12% (USA) $14.99. 90 • Sharpe Hill 2013 Vineyard Reserve, Cabernet Franc, Connecticut 12% (USA) $19.99. 89 • Sharpe Hill 2016 Vineyard Reserve, Riesling, Connecticut 12% (USA) $14.99. 88 • Sharpe Hill 2015 Vineyard Reserver, Chardonnay, Connecticut 12% (USA) $14.49. 90 • Sharpe Hill Ballet of Angels, American 12% (USA) $13.49. 85 • Sharpe Hill 2016 Dry Summer Rosé, Connecticut 12% (USA) $14.99. 81 • Sharpe Hill 2014 Vineyard Reserve, Cabernet Franc, Connecticut 12% (USA) $19.99. 90 • Sharpe Hill NV Ballet of Angels White Blend, American 12% (USA) $13.75. 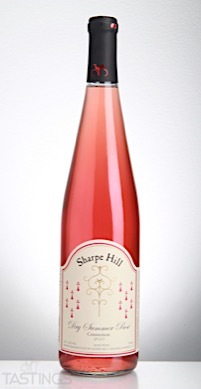 Sharpe Hill 2015 Dry Summer Rosé, Connecticut rating was calculated by tastings.com to be 90 points out of 100 on 4/17/2017. Please note that MSRP may have changed since the date of our review.